Are you a great fan of Vevo games? If you are, then so are we!! Here we are talking about one such great game by “Vevo games”. 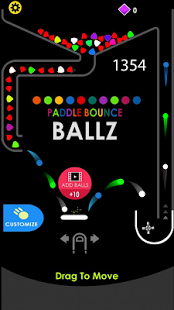 The game is Paddle Bounce Ballz, This is a classic puzzle game on the android platform. The craze for puzzle game’s is highly growing among people. There are many interesting and brain trickling puzzle games available on play store and app store’s but this game is loved and played by many people, It has also gained a lot of fans. This puzzle game is highly addictive for all age group’s, with an interesting bal’ls twist. The game consist’s some easy control’s like tapping the screen and guiding the ball’s left and right into the pocket. In this game the primary target is to bounce the balls into the pocket using a paddle, almost like a basketball. You need to move the paddle by swiping the screen and put as many balls as possible into the pocket. You need to keep the balance of the balls as you throw them into the pocket. The soul purpose of playing this addictive game is changing the color of the balls by picking up bounties. As you keep playing Paddle Bounce Ballz , you collect bounties and various upgrades which in turn will help you survive as long as possible. The game also requires quick reflexes and some good timing-skills. There are missions in the game as well. The game consists some high-quality graphics, user friendly interface and beautiful skins. The color of the balls can be changed by collecting bounties. You can gain extra points by switching the color balls. Extra point’s and high score’s can make you survive in the game to a larger extent. If all of your balls are over , you can use “Tap to shoot”, this option will give extra ball’s to continue the game. Play as much as possible and score more by hitting every single ball with the paddle. 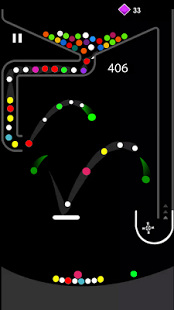 The Paddle Bounce Ballz is one of the most interesting and addictive game ever!! You will have a great time playing this interesting puzzle game. You can unlock various beautiful Paddle skins and balls skins for this game through the shop menu. You can also unlock skins by collecting gem’s while playing the game. Unlocking different Paddle skins make’s the game more and more interesting to play. 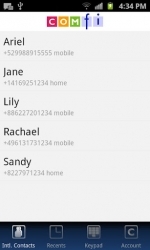 Timely updates of this game has add-on many new features. This game serves a great treat to the gaming lovers as it involves timing-skills, upgrades and much more. It’s easy to play this game, yet it remains highly challenging. You need to score as much as possible and survive in the game by picking up bounties But this game never fails to provide enough entertainment anytime and anywhere to the player. The player remains at the edge of the seat till the end of the game-play. Are you a really great player? How long can you survive? Try out this awesome, addictive and trending game by bouncing back the falling balls, its worth killing time. Have fun! 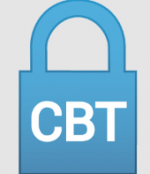 CBT Keeper – Let’s Cheer you UP !